Occurs as a result of excess production of melanin by the skin cells. Lemon is one of the most effective mediums to treat. Other natural solutions include almond, vinegar and orange peel remedies. Sun protection and use of cosmetics also has a role in the treatment. Skin pigmentation can be described as the colouring of the skin - a result of excess production of melanin by the skin cells. The change in the colour of skin often appears on the face as blotches or the complete face may turn darker or lighter than the original skin tone. Skin pigmentation may occur due to many reasons such as UV exposure, hormonal imbalances, skin trauma and congenital factors. 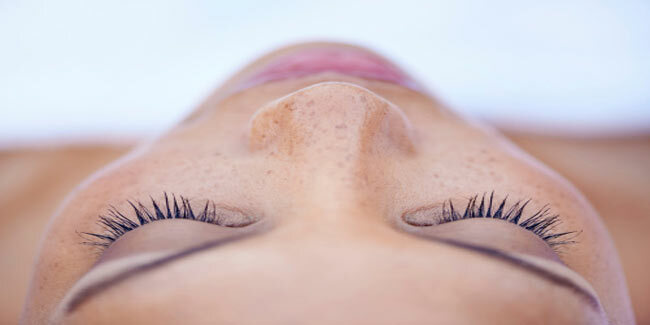 Skin pigmentation can be treated by lightening creams and lasers. Besides, there are several remedies that can help you get rid of pigmentation naturally. Lemon has natural bleaching properties and that is what makes it one of the best solutions for treating pigmentation. The acidic content of lemons helps to exfoliate the top layer of the skin and fade pigmentation over time. Cut a large lemon in half and squeeze it in a container. Dip a cotton ball in the lemon juice or apply lemon juice on your face with fingertips. Rub it on the affected area in a circular motion. Wash face with lukewarm water and then with cool water to close the pores. Repeat this at least 2 to 3 times per week to see a noticeable change. Pour lemon juice onto basil leaves. Place them all around your face and your skin should lighten up. Let it be there for some time, at least an hour. Add milk to create a paste. Leave it for half an hour before rinsing face with cold water. Boil a few cumin seeds in a pan with a cup of water. When it cools, strain it and apply the water on affected parts of the skin. Wash your face with the cold water. Repeat it for a week every day to wash unwanted marks away. Dilute some vinegar in water. Let it dry on its own before rinsing with cold water. Apply the paste to face on a regular basis for at least a week. To treat skin pigmentation, you also need to protect your skin from excessive sun exposure. If the skin remains exposed to the UV rays for too long, treatment for pigmentation will not be effective. Use makeup and powder that contains UV protection for sun protection. If you have face pigmentation, you must avoid some foods such as coffee, tea, chocolate, ice cream, pastries, toffees, acidic things, spices called garam masala. Moreover, it is not advised to use cosmetics that are chemical based on your face.